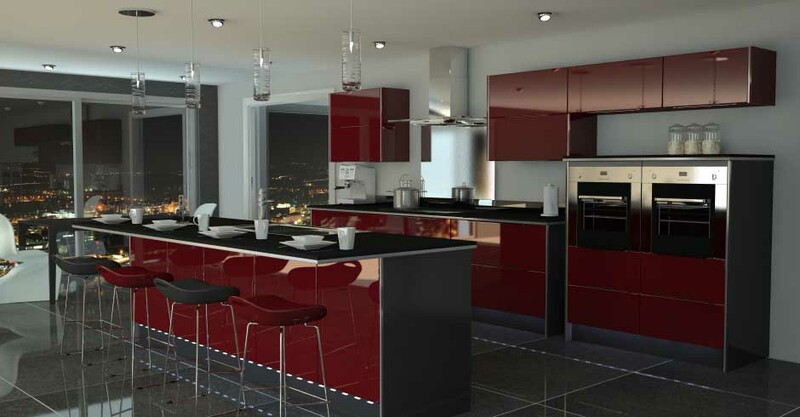 Modern and trendy kitchens can be equally efficient when designed to its perfection. Here is the right recipe for a warm and efficient kitchen. If the kitchen is not well charted, even an otherwise swank home could look uncomfortable. And yet when you think about it, you don’t need a large kitchen for it to be functional. A majority of people underestimate the amount of work and time spent in the kitchen. 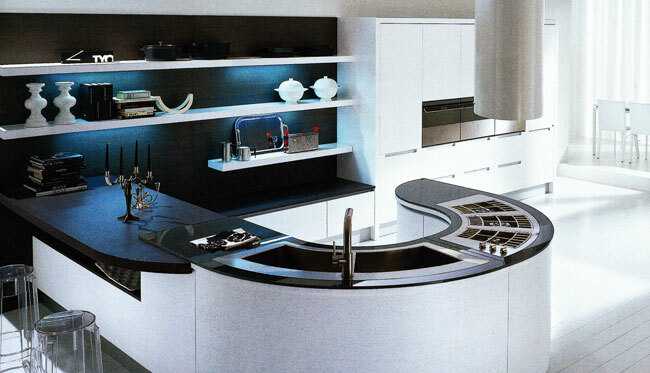 Therefore in addition to beauty, practicality is an important factor to consider for your kitchen space. If you are about to undertake a kitchen remodel, odds are you’ve heard a lot about the kitchen work triangle. Although it’s often hailed by designers as the best way to set up a kitchen, the concept of the kitchen work triangle can be intimidating. In reality, it’s a relatively simple idea that can save time and energy. In simple terms, the kitchen work triangle connects the three main work areas in the kitchen – wash, prepare and cook. As a general guideline the distance between these areas should be no less than 4 feet and no longer than 9 feet. If the distance is too small, it can make a kitchen feel cramped and blocked. If it’s too large it makes cooking a hassle. Once the work triangle is established, functioning in the kitchen becomes a lot easier. They say ‘cook to work off stress’. 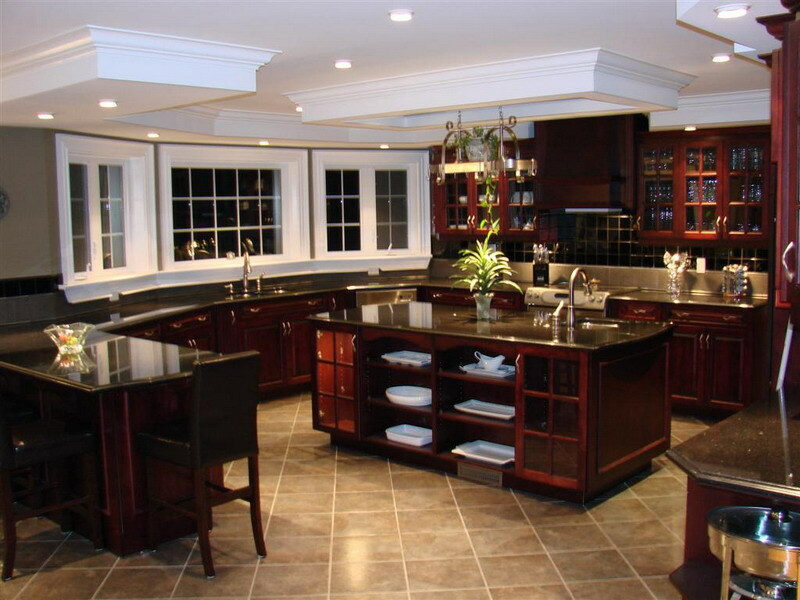 Going by this saying, we should design kitchens, which are convenient with everything at hand, easily accessible. Once the three central zones are established, you need to work out space for adequate storage. To maintain serenity without interfering with appliance use, camouflage bulky appliances. Stow small appliances out of view, but within easy reach. Make sure that there’s enough storage space to stack your washed vessels and for elements like detergents, cleaning materials and waste bins. Apart from the storage, the sink should, ideally, have a work station as well, enabling you to wash and drain vegetables and pasta as they come off the stove. Installing a dishwasher would be a smart idea. Storage ideas: While open shelves add look to the kitchen, every kitchen must have its share of camouflaged storage spaces, especially for utility items. Make a wishlist of the gadgets and appliances that you want for your kitchen and start shopping, priority-wise. Sink in: Corner sinks make the most of space that would otherwise go waste. Fix a steel grating on the sink for wet utensils. If you can manage it, there’s nothing like a dual-sink fitting to make life simpler while you wash. Cover your walls with a splashboard to keep the area clean and easy to maintain. The preparation zone contains the main work areas of the kitchen. This work area between the sink and the hob should be of sufficient size and well lit. a minimum width of 90 cm is recommended. In addition, well-organized pull-outs in the lower cabinet make it easier to access the needed utensils. It would be nice to demarcate storage zones for consumables and non-consumables to make things easier for you. Even the refrigerator should be placed close to the prep zone, so that everything you need is within easy access. Smart idea: Substitute cupboards with deep drawers so you can pile things in and access them easily when required. Fix high level cabinets to store crockery, utensils and accessories that are occasionally used. This is certainly the heart of every kitchen. All your appliances – the hob, oven, microwave and extractor will be part of this zone. 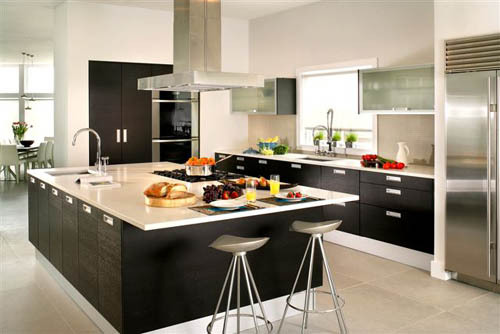 It would be a smart idea to invest in built-in appliances to give your kitchen a clean and clutter-free look. Around the hob or the cooking range, put all things needed for cooking. Pots and pans go in the cabinets directly underneath. Stow away big appliances you frequently use on the kitchen counter. Consider grouping items you use at the same time, such as the toaster and coffeemaker, together to save time in the morning. For items you use once in a while, store them in base drawers. Versatile kitchen: assess your entertaining needs. If you enjoy cooking and engaging in conversation at the same time, an open kitchen is ideal for you. Provide sufficient drawers and cabinets to accommodate small appliances. When you think kitchen functionality, you imagine fittings and hardware systems that will immediately appeal to your sense of beauty and convenience, where every utensil is placed just right, and every ingredient is at hand. The end result is a perfectly designed kitchen. The kitchen system boasts of a wide range of products like baskets, larder units, carrousel units, pullout units, waste bins various utility racks, etc. Choose the right fittings to maximize and facilitate functionality in your kitchen.